Today marks the 62nd anniversary of the Superga tragedy, which resulted in the death of the epic Torino team of the 1940s. On May 4, 1949, the team was returning from playing a friendly in Lisbon when their plane crashed near the Basilica di Superga due to inclement weather, killing all thirty-one passengers on board. That Torino team is widely considered to be the greatest Italian club team of all time. Its dominance during the 1940s was staggering, as it won five consecutive Scudetti during the decade. 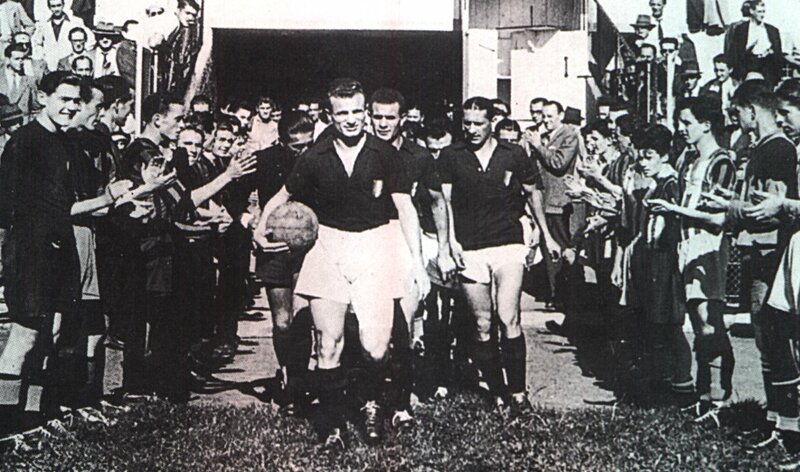 Il Grande Torino was also overwhelmingly represented in the Italian national team. Alongside the players, club officials, journalists and aircraft crew also perished. The players of Il Grande Torino: Valerio Bacigalupo (gk), Aldo Ballarin, Virgilio Maroso, Mario Rigamonti, Pino Grezar, Eusebio Castigliano, Ezio Loik, Guglielmo Gabetto, Franco Ossola, Valentino Mazzola (c), Dino Ballarin, Milo Bongiorni, Rubens Fadini, Ruggero Grava, Danilo Martelli, Piero Operto, Julius Schubert, and Giuseppe Grezar.